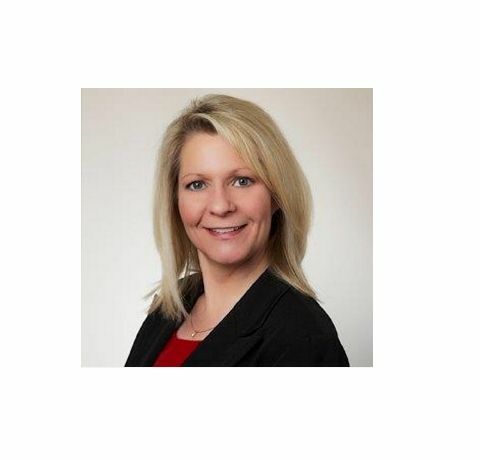 Eva Tomlinson is the Director of FTZ Solutions for UPS Supply Chain Solutions, Inc. Prior to this role, Ms. Tomlinson was the founder, President and CEO of Zone Solutions, LLC, a nationally recognized firm and industry leader in providing foreign trade zone consulting, implementation, and administrative management services. Zone Solutions was acquired by UPS Trade Management Services in 2017, and is now part of the UPS suite of Services. Ms. Tomlinson has dedicated her professional career to providing unparalleled foreign trade zone administrative and consulting services for manufacturing and distribution facilities across the country. Ms. Tomlinson founded Zone Solutions, LLC, in 2003 when she originally recognized a need in the industry for a consistent source of centralized professional FTZ Administrative expertise that could be utilized by companies desiring to benefit from utilizing foreign trade zone (FTZ) procedures but lacking the internal skills or resources to properly manage the vigorous compliance regulations of the program. She harnessed the knowledge and expertise gained through her previous work with foreign trade zones to create a successful and innovative company with a track record of providing turn-key foreign trade zone administrative services for many distinguished and renowned Fortune 500 companies. Ms. Tomlinson’s experience spans all aspects of FTZ administration and implementation. Throughout her tenure in the FTZ industry, and prior to forming Zone Solutions, she implemented, activated and managed FTZ operations for the manufacturing and distribution operations of multiple prominent companies. Ms. Tomlinson also has extensive experience in conducting FTZ cost-benefit analysis, acting as a communication liaison between her clients and the government agencies overseeing the FTZ program, preparing applications for designation and activation of zones, preparing applications for production activity, and ensuring ongoing compliance in FTZ operations. She has in-depth experience in FTZ implementation methodologies, day-to-day FTZ operating activities, and project management. Ms. Tomlinson is a licensed Customs Broker, as well as an Accredited Zone Specialist and NCBFAA Certified Customs Specialist. She is an active member in the National Association of Foreign Trade Zones (NAFTZ), where she serves as Vice-Chairman of the Association and on several committees. Ms. Tomlinson holds a Bachelor’s Degree from Oklahoma State University in General Business with Minors in Accounting, Economics, Finance and International Business. UPS Trade Management Services, Inc.
We're currently looking for great people to join our team. If you're passionate about doing your best in a detailed-oriented atmosphere, send us our resume. Click on the link below to learn more. We’ve provided you with a short list of helpful links to more trade zone information. If there are other links you believe would be useful, email them to us. SHORT DEFINITION - A Foreign Trade Zone (FTZ) is a designated geographic location within in the United States that is considered to legally be outside of U.S. Customs territory for duty purposes. Goods brought into a Foreign Trade Zone are considered to be part of international commerce and not domestic. They will only be taxed upon officially exiting the zone and entering U.S. commerce. Zone Solutions is led by a strong management team with a proven track record. Click on a team member name below to learn more. Copyright © 2019 UPS Trade Management Services, Inc. All rights reserved.